Here is something else, like the accordion in “Miss Fourth of July”, that you did not expect: drummer Tico Torres on lead vocals! Since this is a bonus song and you have five others from the box set, I am not going to say too much about it. The vocals are pretty good and exactly what you would expect Torres to sound like. Sit back and enjoy! At first glance some box sets seem to be a way for a band to make a few extra bucks. They are typical an anthology of older songs, a few outtakes ot live version, and a couple of unreleased songs. 100,000,000 Million Fans Can’t Be Wrong is a great box set full of songs that should have been on earlier albums, but decisions have to be made. Sure, there are a few tracks that are not great and could be considered “throw aways”, but the majority of these songs offer more insight to the true talents of the band. We live in a strange society. We are told to be ourselves and voice our opinions, yet when we do we are sometimes labeled as weird or wrong. I think artists are unique because they do not fit the regular mold and because of this they sometimes seems to have a chip on their shoulder. This song has that chip. We can only be called “different” or “wrong” so many times before we rebel. This rebellion happens in this song, “You judge a man who don’t stand in line / Just because he ain’t on your side / You know the man who wears those shoes / If you cut me, don’t I bleed like you?” I am not sure if the band has read William Shakespeare’s The Merchant of Venice, but that last line is an expression that comes right from that play when the Jewish character Shylock says, “If you prick us, do we not bleed?” In essence, this song is questioning the common practice of judging those around us by appearance only. We do not really know someone until we spend time with a them and learn what they think, believe, and how they act. Bon Jovi is just echoing a common lesson that surface in countless literary works: we really do not know a man until we walk a mile in his shoes. Let people think, believe, and act on their conscious – sometimes the good guys can wear black, so dig below the surface of superficiality and give others the freedom to think and believe as they wish. Yes, that is an accordion that David Bryan is playing. This may not sound like a typical instrument for a rock band, but this song is great. It is a soulful lamentation on the past and how, as things change, we are forced to realize that much of what we used to see or believe is nothing but an illusion. Despite that traditional accordion sound that fits this dirge perfectly, it does have an excellent solo by Sambora and strong drum work by Tico Torres. The speaker is older and is struggling to come to terms with the past. His love, Miss Fourth of July, has not turned out to be what he expected. Her name suggests a beauty queen but the illusion of love and beauty are destroyed, “So we wave goodbye to Miss Fourth of July / The queen of the roses has left us with nothing but thorns / Don’t say we never tried, Miss Fourth of July / The stars that we reached for has left us with nothing but dawn.” We are all idealistic in our youth – we believe that life and love will always go as we planned. Eventually the hard reality of life has to set in and we need to confront the past and move on, “I used to live, but now I survive / I used to believe, but now it’s just one day at a time.” Harsh? Yes, but it happens to all of us and we need to learn to live life on our own terms and deal with what it gives us. This sounds to me like he is considering quitting and moving on to something else. In my wildest fantasies I dream of being a rock star. I even tell my high school students that no matter how much I like them and love teaching, I would drop it in a second to go on tour and be a rock star. Honestly, I have no idea what that life would be like, but based on “Wanted Dead or Alive” and this song, it has to be a difficult, exhaustive existence. None of us really knows what someone else’s life is actually like – unless you are a high school English teacher, you have very little idea of what I do everyday; just like I have no clue what this band’s life is like on the road. Fortunately for all of us, music is the thing that saves him, “The radio saved my life tonight / Old song that DJ played made me feel alright / I made it home by my dashboard light.” Lucky for all of us the band kept pushing on and continue to make great music. Hi Everybody! 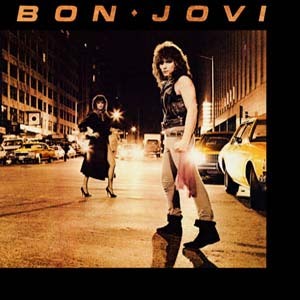 Robert is back for another week of Deep Tracks from Bon Jovi. All of these are from the box set 100,000,000 Million Fans Can’t Be Wrong. I graduated high school in 1988, then went in the Navy. By the time I started going to college, the ’90s were in full swing. This meant that my favorite bands were releasing new albums less and less frequently, if at all. So, whenever one of my bands released a box set, I was all over it! I have Chicago’s Group Portrait, which featured 4 discs worth of the pre-David Foster produced era. Then my head nearly exploded when I found out Journey was releasing a box set of their own. I bought Time3 the day it came out. Journey had been broken up at that time, and that box set had some never released songs on it. So, I was thrilled. And then Bon Jovi released the box set 100,000,000 Million Fans Can’t Be Wrong. Although I was skeptical, I bought it as soon as it was released. I was skeptical because it didn’t have any of the band’s big hits. It featured some rare or never released tracks, and some demos. Looking back, I think this approach makes a lot of sense. I already owned all of Bon Jovi’s albums, so why would I spend more money on music I already had? While I still prefer all of their older stuff, I love this box set. And today, Robert is covering my favorite song from the entire set. So let’s get into it! I told you I would be back with more Bon Jovi this week! I hope you enjoyed last week’s deep tracks and heard (or were reminded of) a few great Bon Jovi songs that you were somewhat unfamiliar with. I am going to continue with some of their deep tracks by taking a quick look at a collection of songs that did not make the cut from some of their albums, or were on soundtracks, or even B sides to some of their popular singles. These songs can be found collected in a 2004 Bon Jovi release; a four CD and one DVD box set entitled 100,000,000 Million Fans Can’t Be Wrong. This box set is full a great songs that, at the time, were judged not good enough to make the final album selection. Some of them were near misses and cut at the last minute, other were left overs that were given to a film soundtrack, and others still are demos or experimental songs that never surfaced before this box set. There is also a cool booklet included that answers questions about the box set and includes hundreds of comments from fans who were asked to submit thoughts about the band while the box set was being put together. As you listen to these five songs this week, remember that these are the “not good enough” songs. I think you will be surprised because these are truly great songs that, in some cases, you will feel should have been included on the original album. Some of the songs on 100,000,000 Million Fans Can’t Be Wrong do reach beyond the ‘80s, but so does the band. I really think you are going to like these songs. Listen close. Does this song sound like something from Slippery When Wet? If you think it does, then you are right. This is one of the final tracks cut from that mega successful album. 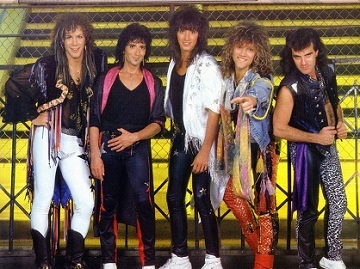 There are even some stories that it was replaced with “Living on a Prayer.” This song has no connection to Vixen’s song with the same title. This is probably my favorite song from the box set. 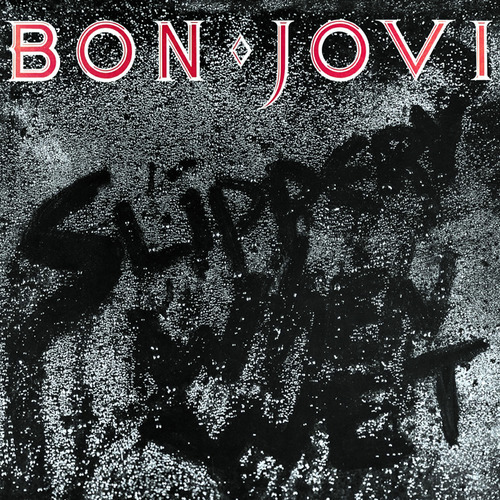 It has a vintage Sambora sound on the guitar and lyrics that fit the Slippery When Wet era. As the title suggests, a relationship is now at a point where it is falling apart. The point of view is the man’s and I cannot help but feel terrible for him: “There I stood, just like a soldier / I was though, until I saw her / I said “Hello”, but she just turned away.” The source of the impending break up becomes apparent in the next line, “Hey Romeo, what you doing with my girl / Who are you using now? / Well, I just turned and walk away.” Despite things coming to an end, he is still hoping she will reconsider and, “I’m the one who needs you / Now you can believe it / I’ll be there to catch you when you fall.” I believe that he knows it is over and that he has lost, but he can never really give up hope. The band did give this song to the soundtrack of Disorderlies – remember the Fat Boys? That film was not a huge success and the soundtrack did not sell real well, so I think it is an excellent way to begin my look at this box set. One name, one proper noun – sums up why love this song and include it in essential Bon Jovi deep tracks: Richie Sambora. From the bluesy guitar notes that both open and close this song like perfect bookends to hard driving rhythm guitar to the blistering, extended solo – this song reigns supreme in the Bon Jovi canon. This song has more uncomplicated, but heartfelt lyrics – just a man who has been away from home for a long time and who is extremely anxious to get back to his woman. It is the music that makes this song really stand out. The entire band is musically ‘felt’ in the song. Sambora’s hard driving rhythm guitar is accompanied by drums that are being played just as hard. The solo trades bars with Bryan’s keyboards and there is even a strong bass solo by Alec John Such. This is one of the band’s rock songs that is a bit harder and one that I considered one of their most perfect rock compositions. The only thing that I do not like about this song is that is ends. I had to sneak in one non-’80s song only because it is my all time favorite Bon Jovi track. Despite all of the great songs that I love, this one always wins out as my favorite – hands down, no question, no wavering, #1. What does it is that this is a complete rock song. The band is not worried about popular subject matter or making it fit into a certain length. This song is not meant for the radio, rather it has a higher purpose that bands are not always allowed to strive for unless a certain level of success has been achieved. This song is written in a first person narrative about a man who has left his home and family to chase the dream of wealth in the oil fields of the South. The story is a sad one. By song’s end, the speaker is contemplating suicide, “If I could choose the way I’d die / Make it by gun or knife / ‘Cause the other way there’s too much pain / Night after night after night.” He, like many others, is chasing a dream – a dream of the riches that are to be had in the oil wells. What he does not realize is that there is not enough to go around for everyone who is flocking to the South. Things dry up, “Now the oil’s gone / And the money’s gone / All the jobs are gone / Still we’re hangin’ on.” Perhaps due to the harsh economic conditions, there is a strong vein of Christianity in this song. This is not the only Jon Bon Jovi penned song that contains this, but this song is full of it. Phrases like, “Praying for some holy water”, “To wash these sins from our hands”, “‘In the blessed name of Jesus”, and “We are all God’s children” dominate this song and give it a strong religious undercurrent. The man is working hard, but he is finding it impossible to make a life from the dust. This song has an absolutely wonderful solo by Sambora that drives home the desperation of the man’s situation. This song is a different one for Bon Jovi. It is a brave song that defends the common man while at the same time drawing attention to the bleak cards that he has been dealt. The video for this song includes a written component that make the theme impossible to miss. I applaud the creativity and bravery of this song. Best Bon Jovi song EVER! These are some great songs that surely lit your Bon Jovi fires. Next week I feel compelled to continue with more Bon Jovi. I will feature five tracks from the box set 100,000,000 Million Fans Can’t Be Wrong released in 2004. Ok, time for some sentimental musings. If you look back at the month of August, I reviewed Survivor’s album When Seconds Count as a 25th anniversary present or my wife. While that album will always remind me of her, this song reminds me of my first, and somewhat embarrassing, attempt to let her know how I felt about her. I “accidentally” played this song every time she was around and let her know how much I liked it. She said she liked it too, but I am still not sure she knew why I was playing it. Hey, I was seventeen and had no idea how to behave around a girlfriend. The song is a good one and easily could have been yet another single from Slippery When Wet. Once again we hear the strong keyboards of David Bryan and the even stronger rhythm guitar (and solo, of course) by Sambora. The chorus is irresistible and Jon’s vocals are as strong as ever. The song is not complex – just a guy letting a girl know how much he loves her, but I have to let the English teacher out and say I like the allusions used in the third verse, “In a world that don’t know Romeo and Juliet / Boy meets girl and promises we can’t forget / We are trapped by Eden’s gate with not regret” (Yes, the English teacher also cringes at the poor subject/verb agreement). Another thing I like about this is that it admits that, as guys, we are not perfect, but that does not mean we do not care: “I might not be a savior and I’ll never be a king / I might not send you roses or buy you a diamond rings /. . . ‘Cause our love is like a hunger, without it we would starve.” Not sure if my purpose of playing this song really registered with my girlfriend, but, nearly thirty years later, it did not hurt either. This is my favorite track from 7800° Fahrenheit. I was beyond excited when they played it the first time I saw the band in concert (unfortunately, they did not perform it the next five times). The song begins with a traditional Japanese folk song “Sakura” (cherry blossoms). As the delicate beginning fades, Richie Sambora kicks his guitar in and we are ready for a rocking song. Lyrically, the song is an unusual one for Bon Jovi. The subject of the song is a soldier who is sent to fight in Japan (has to be World War II). This soldier does not feel completely at ease with the fighting, but he does love his his passes away from the base so he can enjoy a little night life. He says, “It was a time to remember / All my life I would never forget / In a bar, breathing smoke / Snorting whiskey, drinking coke / It was a time no one would die.” Sambora’s solo is a good one and after it the soldier is lead upstairs where a woman, with a red light one, is waiting. I think we can all guess what happens next. Despite the lack of solid sales and public reception, I really like this album and listen to it often. This song is a highlight of the album and a must listen to track in the Bon Jovi archives. The video is from a live performance – the best way to listen to a little Bon Jovi. Hi Everybody! Robert is back with some more deep tracks this week! This time we get some Bon Jovi! Everybody knows their big hits, maybe a little too well. They were always on the radio and on MTV. Somehow, I did not get sick of those hits. However, they have many great songs that did not get radio airplay. I’m am thrilled that Robert is going to cover some of those songs. Now here is Robert, presenting us with the first Deep Track of the week – “Shot Through the Heart”. During the first half of my senior year of high school in 1986 Bon Jovi blew up. I mean BLEW UP! I had made a double sided cassette from a friend who owned the albums Bon Jovi and 7800° Fahrenheit – one on each side. I listened to both sides a few times, liked it, but was not overly impressed. Then, in the Fall of 1986 I heard a song on the radio that blew me away. The song was “You Give Love a Bad Name” and I was completely captured by the sound. I went back and listened to those first two albums again, bought their new album Slippery When Wet, and I have been a huge fan ever since. The years that I lived in Germany (1981-1987) MTV Europe was A. not available or B. not accessible, but our local American bowling alleys each had a video jukebox. My friends and I frequently went to one of these bowling alleys for lunch on school days. There were always about one hundred high school students there and we pumped the video machine full of quarters and played two songs on a loop for the entire hour: Kiss’ “Heaven’s on Fire” and Bon Jovi’s “You Give Love a Bad Name”- an indelible mark was left on my memory and musical choice forever. In addition to this, Slippery When Wet was also the first cassette I bought after I met my future wife. She lived an hour’s train ride from me and I always had my walkman with me for the trip. Bon Jovi’s album was a constant companion on this trips and I quickly memorized and fell in love with every song. My love for Bon Jovi continued in college with the release of New Jersey, which also marks the first Bon Jovi concert I saw in 1988. I have never stopped enjoying their music and I still look forward to each new album (the next one is in March)! We are all aware that this is Return to the ‘80s , so I will limit these deep tracks to those four albums released in this decade. When I first started this deep tracks series, I was really thinking that I would leave out Bon Jovi – how many songs could I choose that would be considered “deep” tracks? After looking at the previous artists that I have featured on the deep tracks series and revisiting the Bon Jovi albums, I believe that there are plenty of great songs that are not routinely played on the radio and have not appeared on a Greatest Hits compilation. So, no more delay – five songs by the incomparable Bon Jovi that can be considered deep tracks. One of my favorite living authors is John Irving. I have read and enjoyed all of his novels. One thing I like about books like A Prayer for Owen Meany, The World According to Garp, and Cider House Rules is that Irving works with a few themes over and over again. I think Bon Jovi does the same thing. The title here naturally reminds all of us of the mega hit “You Give Love a Bad Name”, and I think it goes beyond just the first line. The speaker in this song seems to be about done with his woman, “Would you be content to see me crying / After all those little games you put me through / After all I’ve done for you you’re lying / Wouldn’t it be nice to tell the truth?” He feels cheated, like he has given everything to her and now he is realizing that it has been a waste of time. It is a difficult situation and it hurts, but his mind seems to be made up, “Now you’ve come back to say you’re sorry / But I just don’t know who you’re talking to / It could be the man I used to be / But I’ve grown up and now I’m over you.” The theme of this song carries over to the 1986 hit where he is still feeling the pain of the break up, but he seems to have almost come to terms with it with, “. . . And you’re to blame, you give love a bad name.” The song has what has come to be Bon Jovi’s signature keyboard with guitar and drum bursts. The song is pure Bon Jovi and a perfect way to start some deep tracks.